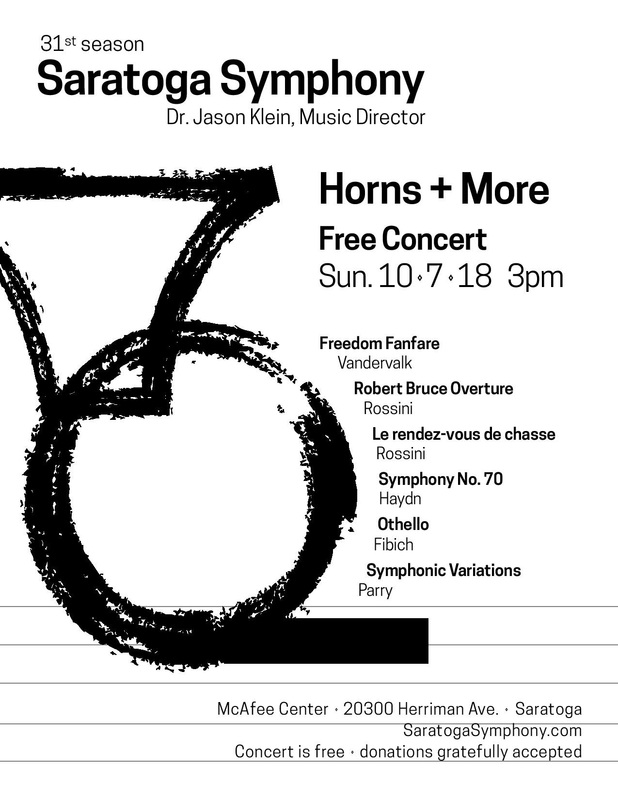 ENJOY a classical music FREE orchestra concert with exciting rhythms and beautiful melodies! Conductor Dr. Jason Klein talks about each program piece before it is performed to add concert pleasure. Concert Theme: “Horns and More!”. A Rossini piece (1828) features 4 horns with the orchestra. The program also includes an “Overture” by Rossini, “Fanfare” by Vandervalk, “Symphonic Poem” (1873) by Fibich, “Symphonic Variations” (1897) by Parry, and “Symphony No. 70” (1779) by Haydn.